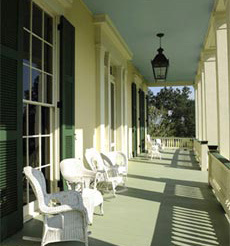 Bocage Plantation is closed until further notice. 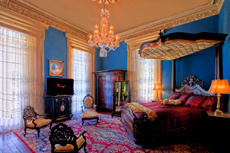 Now an elegant home, the stately mansion is open for tours and group functions. No expense has been spared to furnish the mansion in fine antiques and accessories, from the great furniture makers such as Mallard, Belter, Roux, Lee, Meeks and others, to grand Baccarat and Waterford chandeliers. “We have paintings by famous artists such as Rembrandt Peale and Thomas Sully, and even a fine clock signed by Tiffany. We are also proud of our fine collection of Old Paris porcelain vases,” Dr. Rundell explained.